Sculpture Size: 3 X 18 X 6 in. 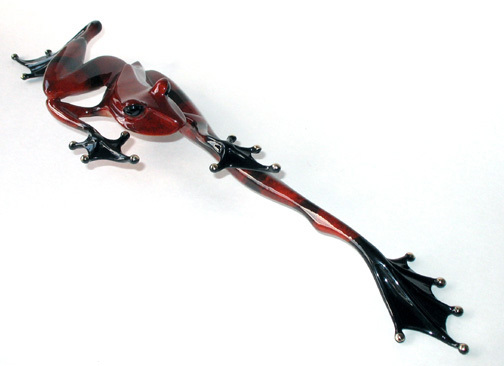 “Stealth” is a beautiful red frog in a most stealthy pose. One of Tim’s more whimsical sculptures, this great piece is incredibly dynamic. He looks ready to pounce.